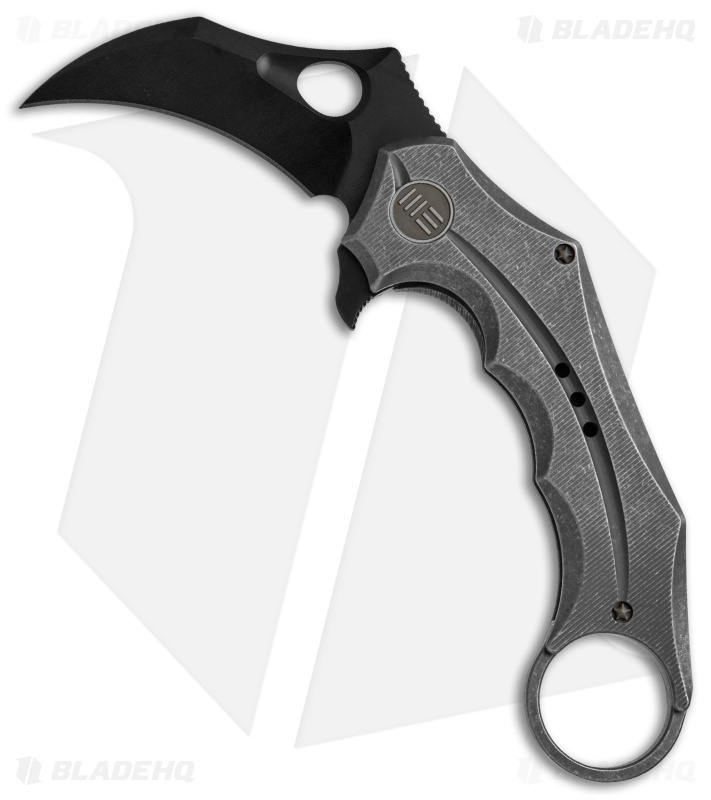 This 708C model comes equipped with a gray titanium handle and a karambit style blade with a black finish. 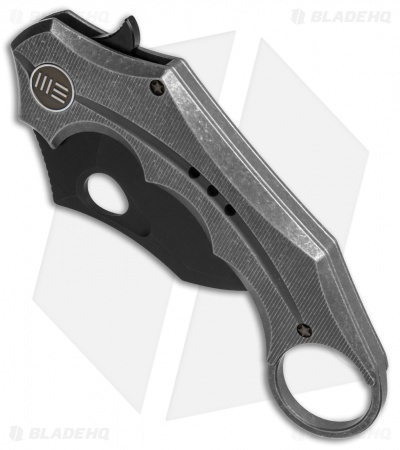 Pick up a tactical EDC companion with the long-awaited 708 Karambit folding knife from We Knife Co. The 708 is compact enough for everyday carry yet packs a serious punch in self defense situations. It has a flipper opener, assisted by a smooth ceramic ball bearing pivot for minimal deployment times. 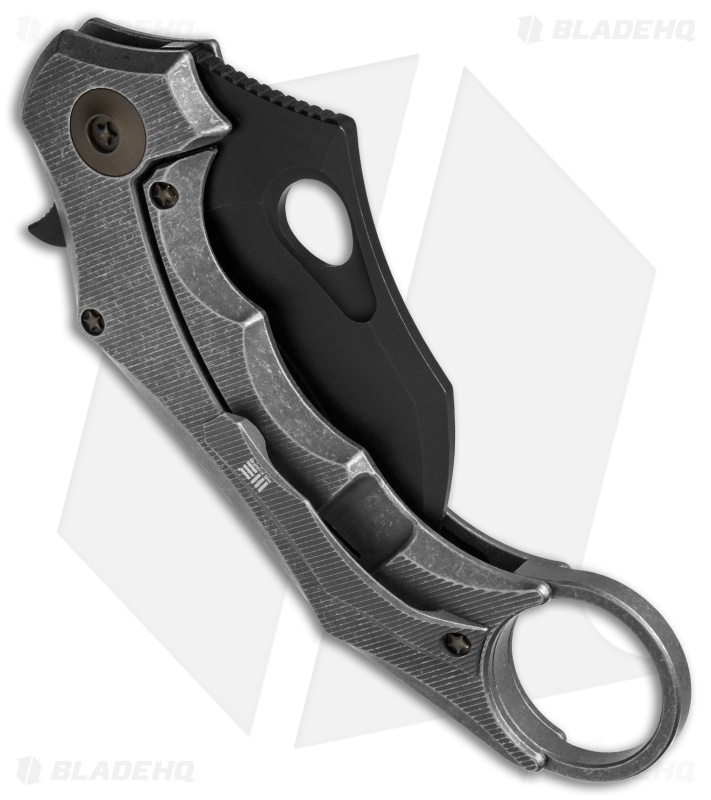 The handle is outfitted with a titanium clip for comfortable pocket carry and a finger hole for maximized blade control. Bronze anodized titanium hardware finishes off the impressive design. Flipper opener with a ceramic ball bearing pivot offers rapid one-handed deployment. 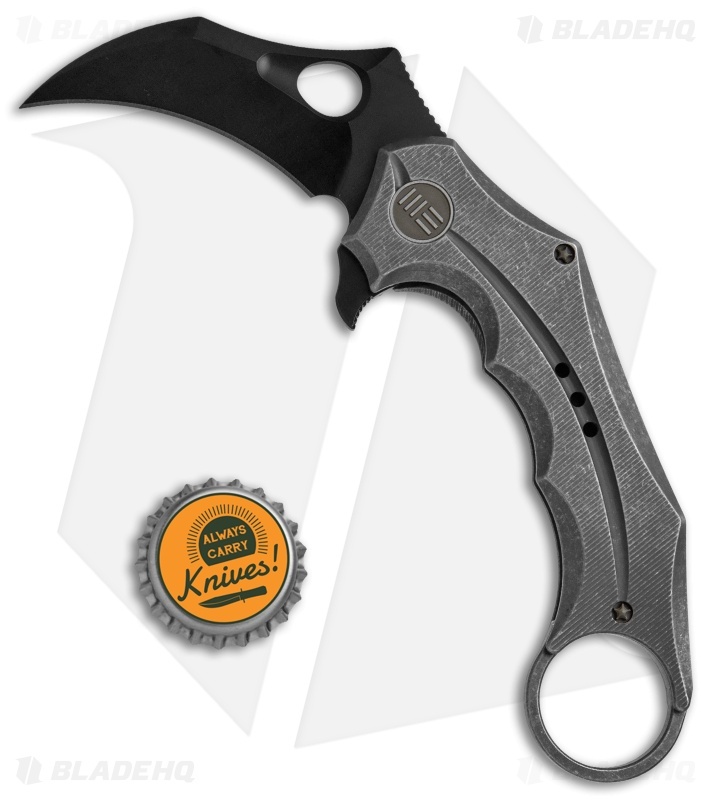 Karambit style blade made from CPM-S35VN steel for a strong and dependable cuting edge. Titanium frame lock handle with reinforced steel insert provides unstoppable blade lockup. Love this brand and love the Karambit style knife. Thank WE and thank HQ for your amazing service as usual!! !